Ever since the latest one was shown in theatres as a special treat before the release of 1998’s A Bug’s Life, Pixar’s animated original shorts have become just as big a talking point as the feature films that they precede. It has been over thirty years since the very first short was created in 1984, back when Pixar was still just a computer hardware company and one Mr. John Lasseter was the only animator in a minuscule animation department. Of course, there is no need to detail the fortunes of Pixar since then, growing from strength to strength and becoming responsible for the majority of the much loved animated pictures over the last twenty years. And with every new feature release, comes a new original short. 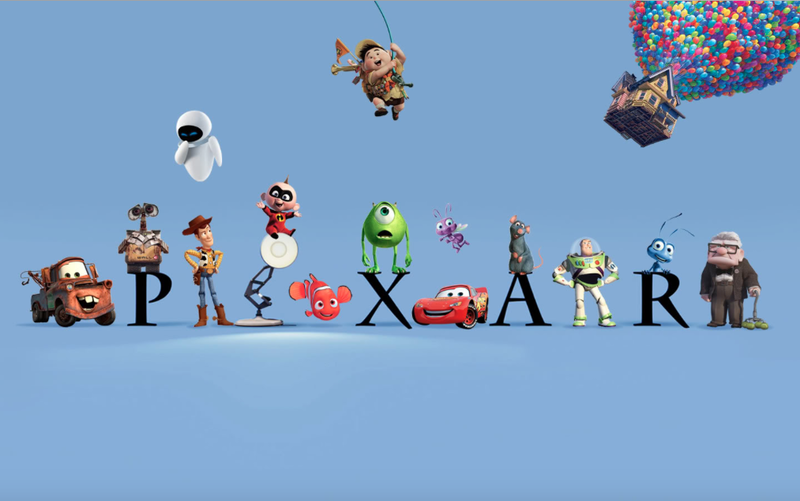 Sixteen in total to date, some better than others, but all important with regards to the Pixar’s legacy and tradition. Here they are, ranked for your categorising pleasure. 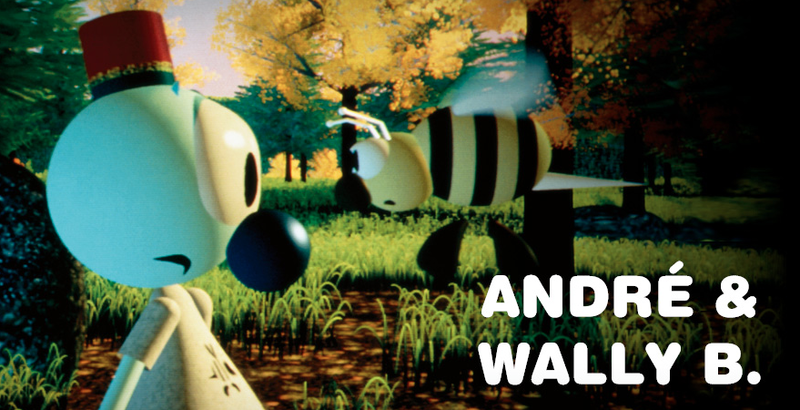 Pixar’s very first original short created in 1984, The Adventures of André And Wally B. is more of an impressive technical display than a coherent or meaningful short story. Though there are definitely indicators of what the company’s creative team would be able to create in the future with a pleasant musical soundtrack and landscapes very familiar in tone and atmosphere, there really isn’t much more to say about this short Looney Tunes type segment other than it was the beginning of a long and successful road. Pixar’s first, and successful, attempt to make their audience care about seemingly inanimate and unassuming objects and characters. 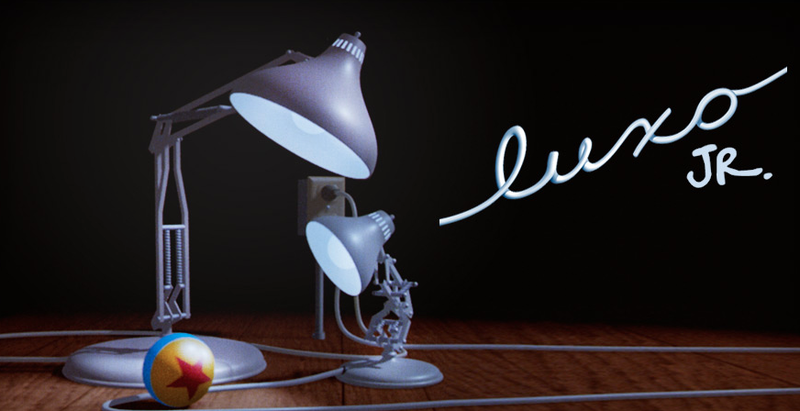 Perhaps Luxo, Jr. is more enjoyable in hindsight now that we have become so familiar with the lamp’s presence at the beginning of every feature, but in this short you can see the evolution of the style that we would eventually come to associate with Toy Story. It’s cute, but it lacks the sentiment and feeling of later shorts. 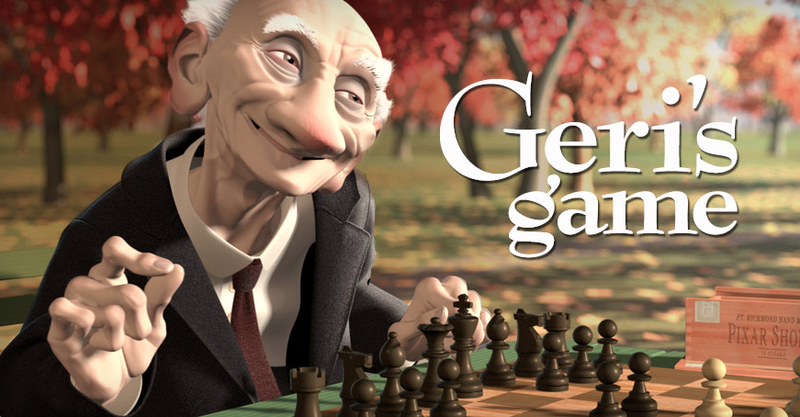 Geri’s Game represented a huge step up in visual quality for Pixar, but there is something about the short tale of an old man playing a game of chess with himself that leaves me kind of cold. Sure, it boasts the quirky, enjoyable soundtrack and there is an inherent sweetness about the situation, but overall Geri and his chessboard do not engage me and capture my imagination like some of the other characters and objects that Pixar have introduced in their shorts. Perhaps it’s because I don’t like chess, perhaps it’s because I’m not understanding a deeper meaning or message, but for me Geri’s Game is just a bit boring. 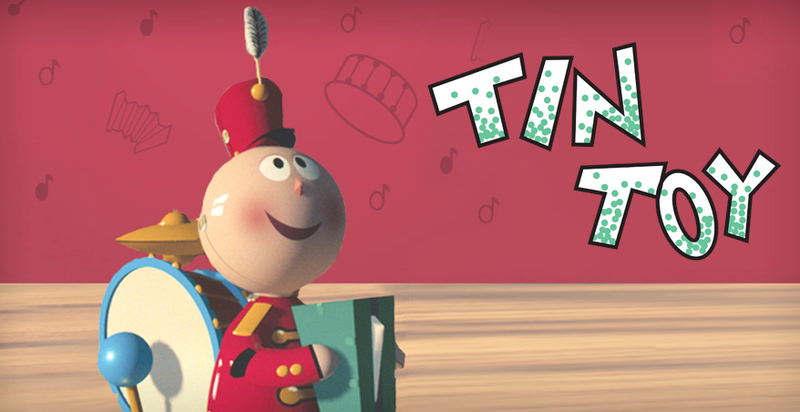 Tin Toy signifies Pixar’s awkward phase when they didn’t know they couldn’t make human characters look realistic, showcased by the most terrifying cartoon baby you will ever see. An absolute precursor to Toy Story, the theme of toys being alive and having emotions of their own is central. Sure, some of the graphics are pretty rough by today’s standards, but what must be remembered is that these computer generated cartoons were being made at the same time Disney and Don Bluth were still hand drawing their work frame by frame. 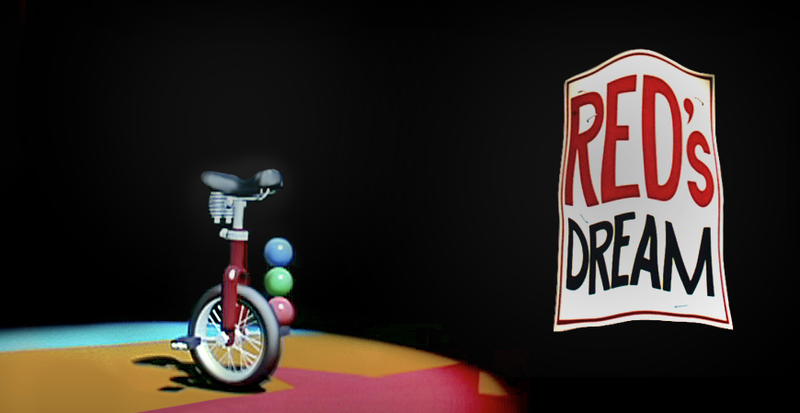 This short tale about a red unicycle with big dreams of being the star of a circus show could be classed as the first short to really tug at the heartstrings, stuck in a clearance sale at a bike shop, Red’s juggling fantasy is cut short and the cartoon ends on a more down beat and melancholy note rather than the inspirational and happy endings that have become the norm. The animation of the clown character feels a little sloppy compared to the rest of the short, but in Red’s Dream we begin to see a little more of the emotional connection that Pixar eventually came to master. 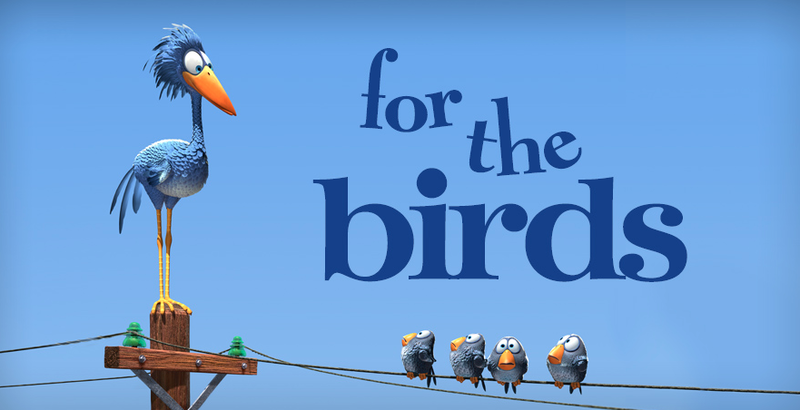 For The Birds is perhaps the first Pixar short that I remember seeing in the cinema before Monsters, Inc., and whilst it provides arguably some of the biggest laughs to date, the short tale of a group of naughty little birds and the comeuppance that they receive when trying to bully a bigger bird doesn’t really stick in the mind afterwards. There is no particular message or sentiment that accompanies For The Birds, but those who enjoy the antics of the seagulls in Finding Nemo will definitely find value in the short. Fairly unremarkable but fun in the moment. Boundin’ is a whole lot of fun, but is perhaps guilty of laying on the moral message a little too hard for my taste. The story of a precocious sheep who learns to accept himself in any guise after his beautiful wool is sheered off is no doubt uplifting, but in hindsight Pixar could have been a lot less subtle in their attempts to let the kids know that they can be whatever they want to be no matter what they look like. 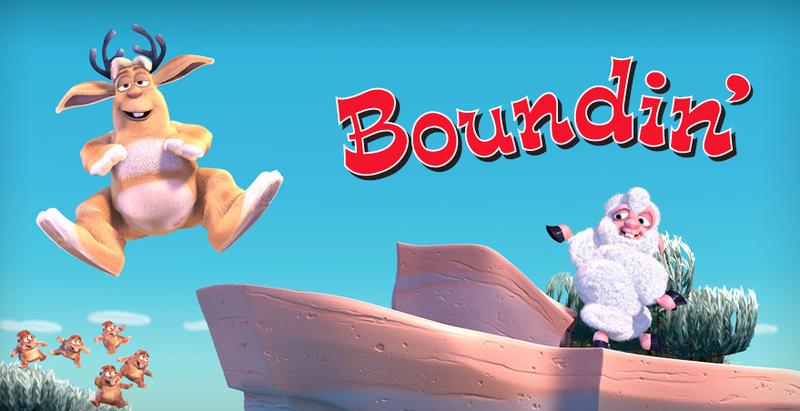 Boundin’ was the first short to have a dialogue element in the form of musical narration by writer and director Bud Luckey, something that I, being a lover of musicals, very much enjoy. One Man Band presents a little skit in which two street musicians battle it out in order to win the praise and the golden coin of a little girl. 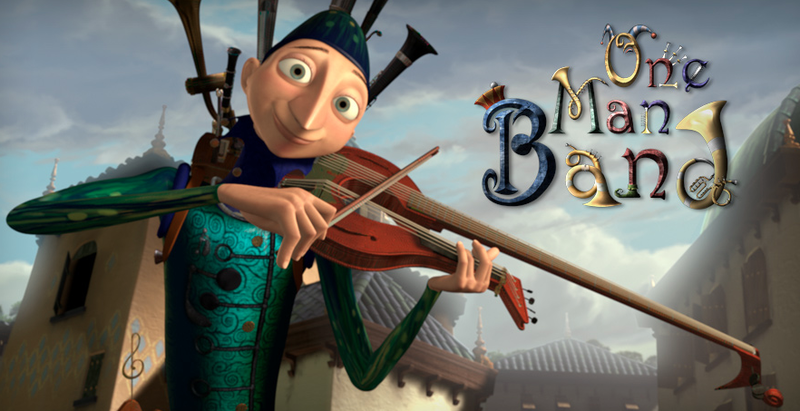 Though this initial musical jousting starts to outstay its welcome, the story does take a rather amusing turn and though the short has nothing grand or moral to say, it proves to be a fun and engaging few minutes of entertainment that will leave with a chuckle and an urger to go and check out the street performers in your local town centre! 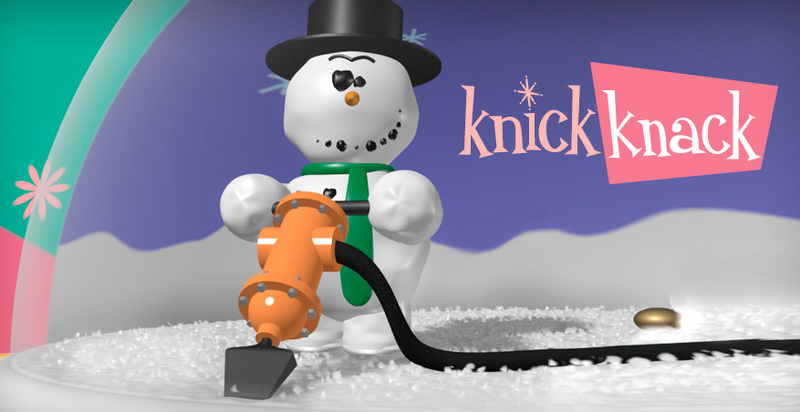 In my opinion the first short to really tell and encapsulate an entire story within its running time. The tale of a snow man trying to break out of his snow globe to go and hang out with the souvenirs from warmer destinations is funny, technically impressive and produces a satisfying and unexpected ending. You can see at this point that Pixar were really perfecting their gift for bringing seemingly inanimate objects to life and making the audience really engage with them in a short space of time. 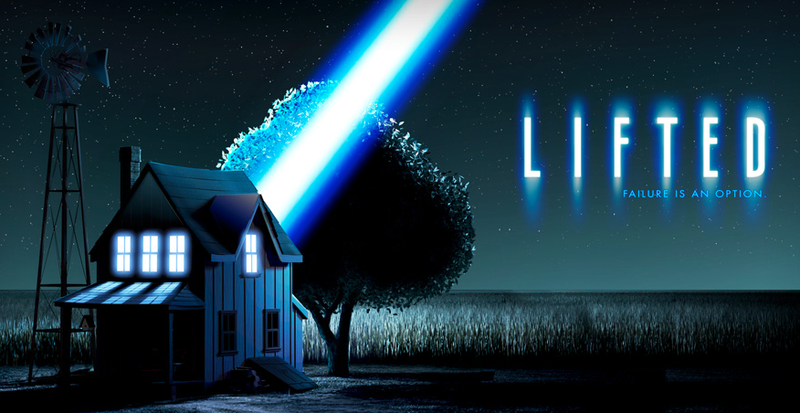 Pixar’s 2006 short Lifted was undoubtedly its most visually stunning production to date, portraying the unsuccessful training of a hapless young alien who is trying to become part of the abduction team. The short has more than a hint of Monsters, Inc. to it with the presence of a wobbly green, hard hat wearing character, and though the snippet of story if simple, it is really effective and gives the audience an insight in to a much bigger fictional universe than is shown on screen. I’ve often pondered that a feature length version of Lifted would not be such a bad idea. 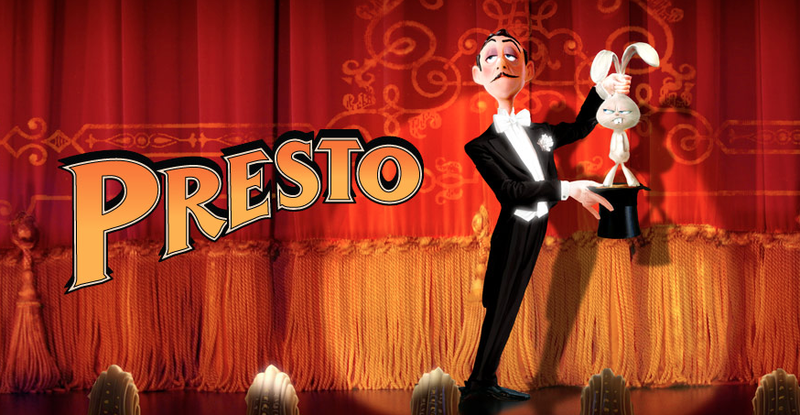 An absolutely delightful five minutes worth of classic slapstick, Presto harkens back to the good old days of Tom & Jerry, Wile E. Coyote and all the other golden age cartoons that revelled in silliness and inventive ways to temporarily harm their characters. Watching a magician and his sidekick rabbit battling it out for the sake of a carrot is hardly emotion stirring or moral carrying, but it does exactly what it says on the tin and provides an audience of all ages with a few minutes of light hearted but heavy hitting animated fun. 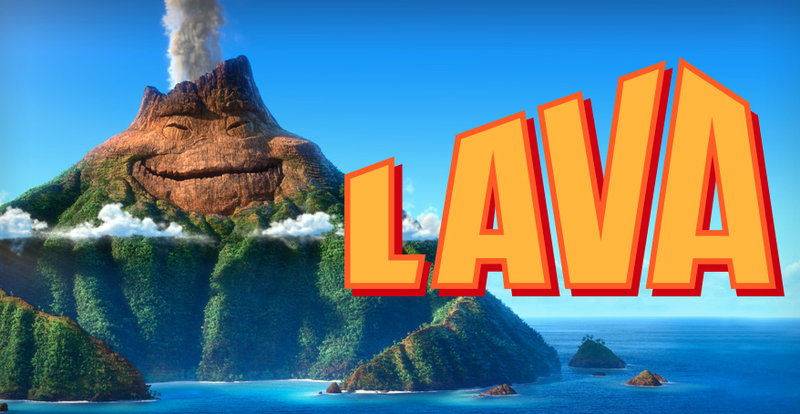 Lava was the short that accompanied 2015’s Inside Out, and perhaps more than any other it divided opinion amongst critics. Whereas some saw it as a cheesy step backwards for Pixar, I personally fell for the big singing volcano hook line and sinker. Again, perhaps it has something to do with the fact that I am a sucker for a musical number, but the pleasant Hawaiian themed narrative song combined with absolutely stunning and luscious visuals had me swaying along in my seat and loving every second. It may not be as deep as others, but Lava certainly succeeds in putting a huge smile on your face. 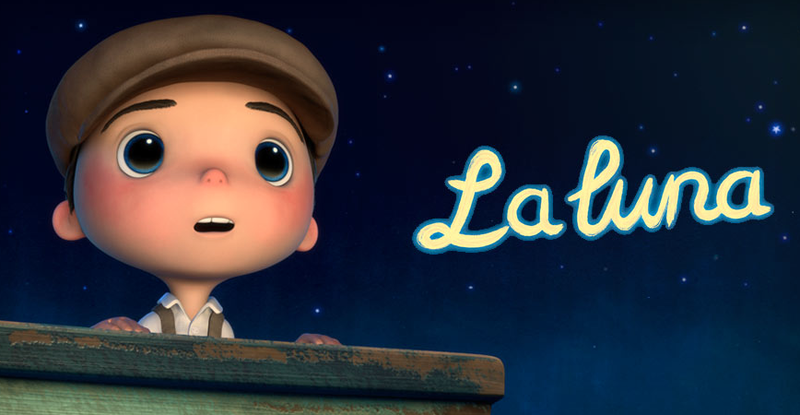 La Luna is a mesmerising little tale of a young boy, his father, and his grandfather and the part they have to play in shaping the light of the moon. Along the way is a message about children having to create their own paths in life and do things their own way, but above this subtle meaning is a pure master class of animated joy by the Pixar team. Every inch of the screen sings with atmosphere and magical charisma, and though the story doesn’t take you on a mini roller coaster of emotion like some do, it nonetheless fills you with a sense of wonderment that it seems like only Pixar can create in animation these days. A truly special few minutes. 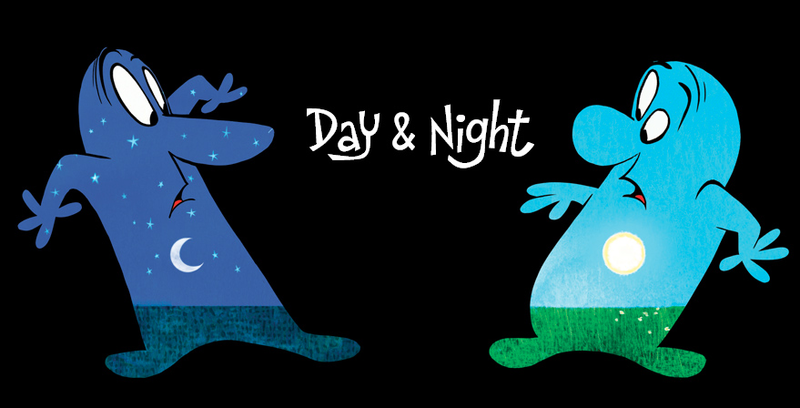 Certainly Pixar’s most abstract and experimental short at the time, Day & Night explores the differences between the light hours and the dark hours using two very sweet and very amusing figures who embody each time of day. Visually fun and stimulating, the short not only works on a purely fun level, it can also be read in a much deeper way with regard to accepting each others differences and the fact that once you do that, people can proceed to bring the very best out of one another. The music and animation choices give this one a timeless feel, and I would wager it will have aged the least when looking back in another twenty years. Partly Cloudy typifies everything that I have come to expect Pixar productions to be. It is sweet, it is funny, it heartwarming, it is charming and most of all it is innovative and inventive. 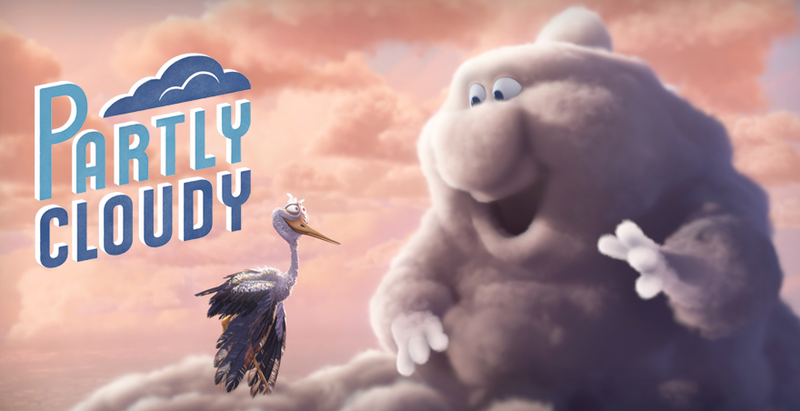 Set in a world where storks deliver baby humans and baby animals in corporation with the clouds who create them, the short tells the story of the one dark cloud in the sky and his sturdy and willing companion who always gets the raw end of the deal. If you are looking for a masterclass on how to break and subsequently overjoy the human heart, you won’t go wrong if you use Partly Cloudy as your point of reference. 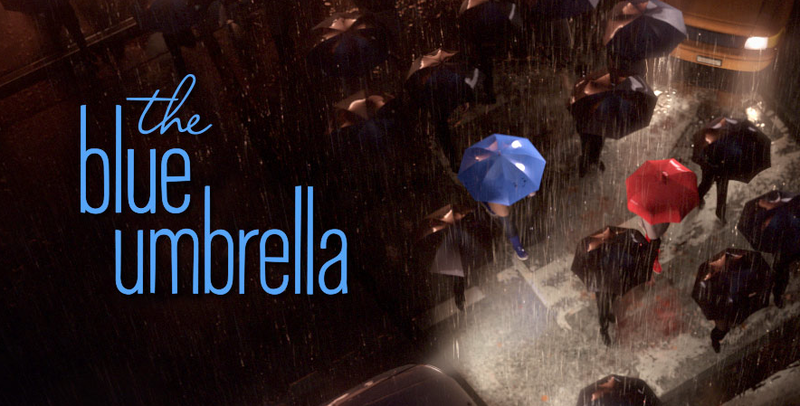 An epic tale of love, loss and determination, The Blue Umbrella gives the audience everything they might expect from an atmospheric moody French romantic drama, with the one key exception being that our protagonists are a pair of umbrellas! Only Pixar could have the confidence and conviction to commit to a seven minute long tale about the romantic struggles and ambitions of a bad weather accessory, but thank God that they did, because The Blue Umbrella provides an innovative and engaging example of the astronomic heights the the studio has achieved with regards to breathing life in to daily objects and micro scenarios that mere mortals would never have previously considered. Riding on a wave of emotion caused by an umbrella, you won’t believe it until you have seen it for yourself! Presto and Day & Night are my absolute favourites! Love them!! Thanks for this- will be sure to check them out!